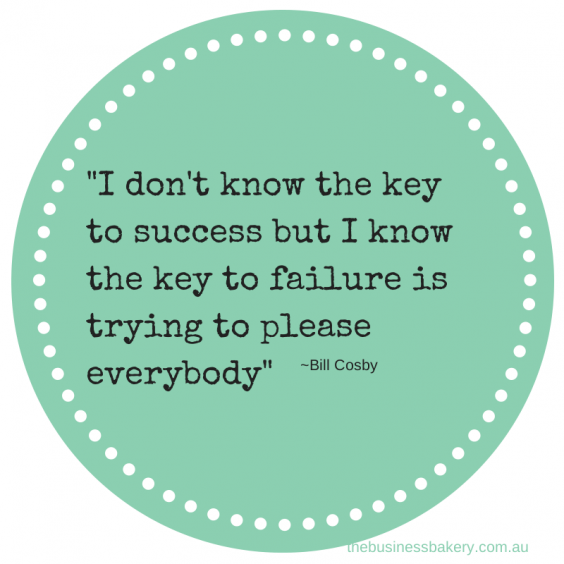 What to do when someone doesn’t like what you sell! Oh goodness. How bad does it feel when you find out that someone doesn’t like what you sell?! Awful, yes? But really, you don’t need to wallow in despair. It’s actually OK if someone doesn’t like it. In fact it can even be a GOOD thing! None of us make something that everyone likes. Not Apple, not Jimmy Choo. And not even the bakery down the road which sells-out of bread by 1pm! The thing is, we’re making stuff for OUR Hungry Customer (our special people who we’re creating/making/doing/curating for) so it makes sense that people who aren’t our Hungry Customer might not like our stuff. And boo to them! Still, discovering someone doesn’t like our thing can make us feel a bit wobbly, so here are some bits and bobs to remember! 1. Check that the person disliking your thing is NOT your Hungry Customer*. 2. Have a look at your marketing and refine it so you don’t attract more folk like this one. 3. 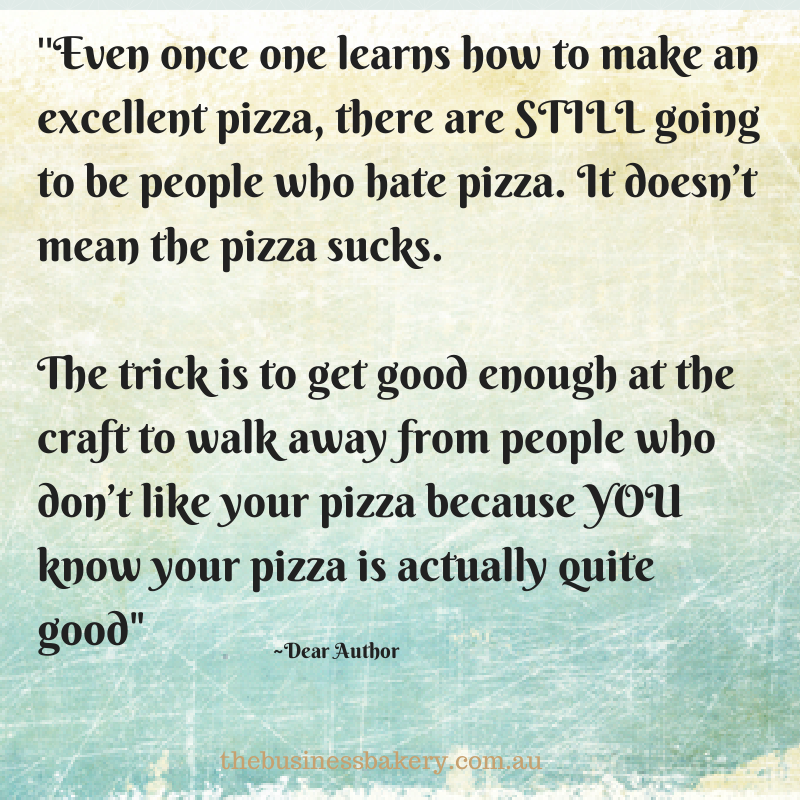 Listen graciously to their ‘feedback’ about your product but don’t change it for them – you’ll be changing it for the wrong person! 4. Close your ears to what they tell you about your price! They don’t like your ‘thing’ and they ain’t buying it, so they’re not the right person to tell you what to charge! 5. Don’t let it knock your confidence. OK. So number 5 is hard. But this may help. I found it over at Dear Author and I love it to bits! So how can it ever be a GOOD thing to have someone tell you they don’t like your stuff? Well if the person who doesn’t like your stuff IS the person who you’ve created it for, they’ve just done you a big favour! No point in you slaving away over something that doesn’t suit them is there?! So what next? Well I think first a *deep breath* is in order and then, if you can, ask them how they suggest you change what you do to make it more suitable for them. They’ve done you a big help letting you know it’s not right and my guess is they’ll be quite happy to take it one step further! Hey! Did you know we’re opening the Kitchen again on 7 April. So if you LOVE your handmade, home-based or boutique business but find the BUSINESS-Y kinda stuff tricky and *wish* your biz made more money you might want to take a look. All the details are here! 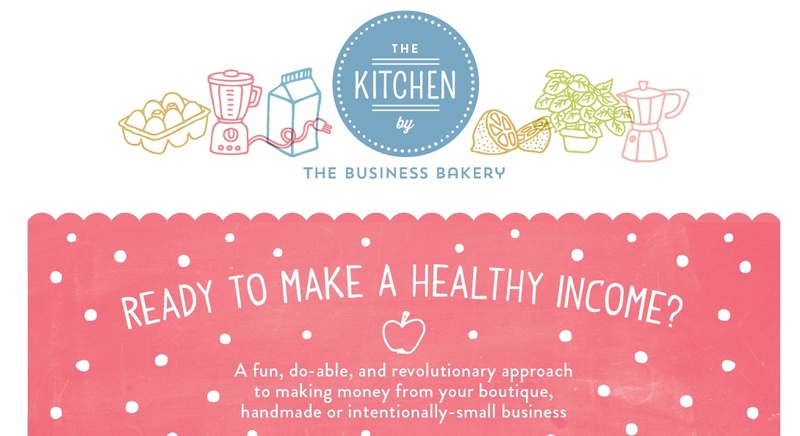 Fancy getting a weekly Snack of sweet stuff for your small business? Just pop your details in below. How to cost your time, work out your hourly rate, and avoid the big mistake we all make Is it ever ok to work for free? Week 8 of the eight week plan: measure what matters Hmm, which should you do? Spend money to win sales or spend time?